SG Budget Babe: ICO Analysis: Is Sentinel Chain worth investing in? ICO Analysis: Is Sentinel Chain worth investing in? The latest crypto project aiming to provide financial services to the world’s unbanked and underbanked. 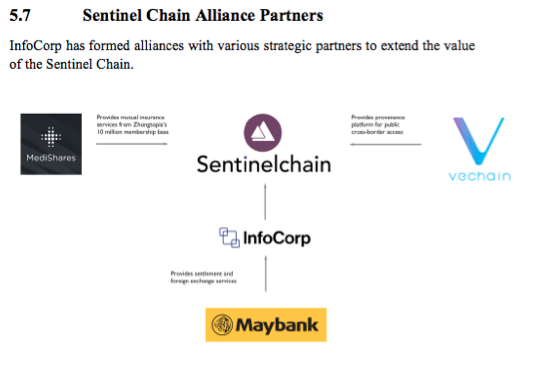 One of the latest hyped crypto projects is Sentinel Chain, which is a Singapore-based ICO due to open their public crowdsale next month. There’s presently a lot of interest as Sentinel Chain is a partner of Vechain, which is arguably the #1 supply-chain crypto right now. If Sentinel Chain is successful, they’ll help play a crucial role in reducing the world’s income inequality and lead rural farmers to greater economic prosperity. How do they intend to achieve this? Read on to find out! Disclaimer: I’m heavily vested in Vechain. This is my personal take (together with my friend, Tim) on the upcoming Sentinel Chain ICO and should not be miscontrued as financial advice. Please do your own due diligence before investing in anything, especially in high-risk assets like cryptocurrencies. What is the problem Sentinel Chain is trying to solve? Financial lending and credit is generally based on collateral. When you borrow from a bank or financial institution, they will assess your financial standing by looking at your income earnings, assets owned (stocks, property, insurance) and other factors before granting you a loan. However, a large portion of the world does not have access to such financial services because they do not have such collateral. 70% of the world’s global food production is sourced from small-scale agricultural farmers, but these same farmers are concurrently among the largest population segment globally who live on less than USD 2 a day. They may own land and valuable livestock, but are generally denied of financial credit and borrowings for their operations and scaling because their assets are generally classified as “dead capital” in the financial economy. Most financial providers can only accept the livestock as a collateral for loan if the livestock is insured. However, insurance companies today are mostly unable to offer livestock insurance at affordable premiums because there is no “tamper-proof” identification systems to guarantee the identity and ownership of the livestock. Livestock will be tagged with a physically tamper-proof identity tag (through a single-use RFID chip which cannot be removed without being destroyed) and the identity data will be stored on the blockchain where it is digitally-immutable (i.e. pretty much impossible to alter the data). Together with the time-series transaction ledger, this “digital passport” will prevent fraud, and allow insurers to assess the data to verify these assets for insuring. They’ll be able to check on the blockchain if that livestock has already been pledged as well, providing a trail of credit history. Once the livestock is insured, the banks and financial lending institutions can now accept it as collateral to grant loans to these farmers. What was previously “dead capital” can now be monetized thanks to the Sentinel Chain blockchain ecosystem and partnerships. The CrossPay app is an Android mobile wallet that will provide the unbanked with quick access to their balances and allow for quick transactions. The blockchain will be deployed locally at the grassroots level, and the cryptocurrency to be used in the system is called the Local CrossPay Token (LCT), which will be pegged to the value of the country’s native currency. LCT will thus not be exposed to the volatilty of the cryptocurrency markets. How impressive is the team behind Sentinel Chain? Has over 20 years of experience in IT and finance. Was previously responsible for leading the successful implementation of FAST (yes, that same inter-bank FAST transfers that we now use on a regular basis!) connecting 14 banks in Singapore. The founding president of the Singapore Fintech Association. Chairman of ACCESS, Singapore’s Cryptocurrency and Blockchain Industry Association. Is also an instructor of the fintech and blockchain workshop for the Asian Development Bank and other banks in SEA. Previously Vice-President of GIC, and her team brought in Singapore’s first public bitcoin machine. The famed SMU professor who promoted Bitcoin years before it gained mainstream media traction. The Founding Partner of VC firm Fenbushi Capital, which Ethereum’s co-founder Vitalik Buterin was formerly a part of. It is not every day I come across a crypto project with a team as impressive as this one, and given their extensive experience and connections in the financial space, that could give them a huge advantage in securing the partnerships needed to make this project a success. What’s the value of the SENC token? 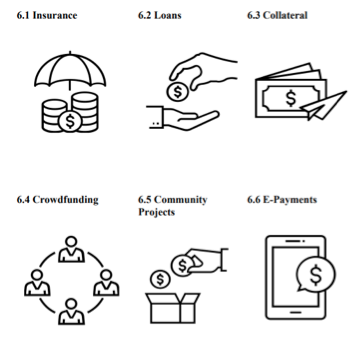 - Fundraising for local community projects through peer-to-peer crowdfunding platforms, including for humanitarian aid, disaster relief, and more. One of their most promising milestones that stood out to me is their partnership with CloudWell in Bangladesh, which offers financial solutions to the dairy farmers, herdsmen and milkmen there. Given that over 80% of households in Bangladesh own livestock, there is a compelling and immediate use case for Sentinel Chain’s solution and B2B marketplace. It seems like they’ll be working with Green Delta Insurance (which was founded in 1985) to tokenize these farmers livestock first and get them insured as the first step to opening up access to financial services. I managed to find secondary data sources confirming the various partnerships and pilots that were Sentinel Chain claims in their whitepaper. CrossPay was deployed as a pilot trial with local dormitory operator TS Group last quarter (Q4 2017) at a supermarket, where migrant workers were able to make e-payments. I asked the Sentinel Chain team for the results of this pilot and was told that they’ll publish it much later, so this impacted my confidence in the project somewhat as it would have been better if we already had those results to assess. Amos Ong, who is the head of global banking at Maybank Singapore, has confirmed that Maybank is looking forward to providing fintech solutions to the migrant workers in Singapore. The official press release can also be found on Maybank’s website here. 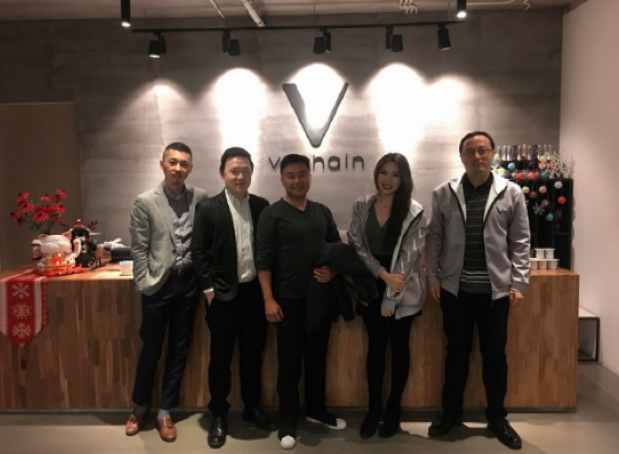 VeChain confirmed their partnership with Sentinel Chain to enable the world’s less privileged population to access global financial services. Since most of these agricultural farmers will be out in the rural areas and are already poor without Internet access or smartphones, how will they be included in this solution? Upon discussion with my friend Tim, we realised that there is a crucial misunderstanding of the markets here. For instance, Sentinel Chain’s target market in Myanmar already has 4G networks available, and the costs of a smartphone is about $30. Why partner with a China insurer and a Southeast Asian bank? Why not partner with insurers who can cater to the unbanked and underbanked here in Southeast Asia first? Roy Lai: Because there isn’t many. To access an affordable microinsurance service is not easy. It requires a large scale of members in order to diversify the risk. The China mutual insurance (Zhongtopia) has a 10 million customer base that pays 7 rmb premium and insured for 300,000 rmb. 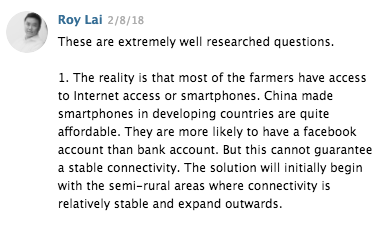 Me: Will Zhongtopia be able to insure livestock of countries outside of China then, or is your partnership with them only for the China markets for now? If it's only for China, when will the tentative pilot and roll-out be for livestock in rural China? Roy Lai: The partnership is to explore mutual insurance outside China - not livestocks. Why was CrossPay’s first pilot test run on migrant workers in Singapore, instead of an agricultural pilot in either Bangladesh or Vietnam to provide an indication to investors who can then evaluate the project’s potential success in the future when rolled out on a greater scale? Roy Lai: CrossPay’s pilot for Singapore utilises only the payment function which is only a part of the CrossPay’s functionality. The strategic value in doing it in a Singapore foreign worker’s dormitory is that as the hub of Asia it has workers from all parts of Asia, and is easier to solve the user experience problem simultaneously across different nationalities without going through country by country. Is the technology for the tamper-proof RFID tags already ready? Who will be manufacturing and providing these tags? Who will bear the costs of these RFID chips and be responsible for implanting it into the livestock? Roy Lai: Yes. We have an extensive R&D partnership with another Singapore company to design the tag for blockchain use. The costs of these RFID chips are born by the insurance and loan companies. We work with partners that has extensive agent network on the ground to manage the last mile deployments. We will not be able to share the name of the Singapore company designing and manufacturing the RFID chips without NDA. Will there be a limit to the number of LCT tokens issued in each local country? How will the team differentiate between LCT tokens for the Bangladesh market vs. the Thailand markets, for instance? Roy Lai: LCT tokens issued in each local country has no limit but a conversion between SENC and LCT is required. LCT tokens for different market are derived from USD exchange rate for the fiat vs the USD exchange rate for SENC token. How will Sentinel Chain decide how many to issue (i.e. the number of LCT tokens then per country?) Any metric or guideline would be helpful. Roy Lai: Not without NDA. Has Sentinel Chain secured any government agreements or discussions to roll this out for their country’s agricultural population thus far? Roy Lai: Further news to be announced. The aim is to announce before the ICO crowdsale closes. I understand that a partnership agreement was signed with CloudWell, and the same article written by Anne mentioned Green Delta as the local insurance partner. 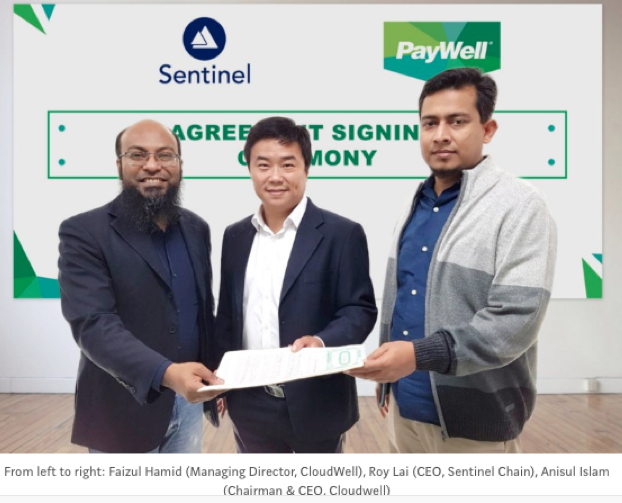 Can you clarify if Green Delta has officially agreed to partner and insure the Bangladeshi livestock that will be placed on Sentinel Chain's blockchain, or are they merely a partner of CloudWell that you were referencing? Roy Lai: This is a tripartite partnership with Cloudwell providing the last mile support, Green Delta as the livestock insurance provider and InfoCorp providing the CrossPay network. Rather than solely monetizing dead capital to allow for financial inclusion of the unbanked, SENC also seeks to develop the following use cases. One of them which we were highly supportive of was the use of SENC for community projects. The users that SENC targets are the very same exact individuals who are disadvantaged in their access to basic infrastructure such as electricity, roads or clean water. Through the SENC Blockchain, third party not-for-profit organisations may purchase SENC as a medium of exchange for LCT to finance social inclusion activities such as building of infrastructure, to sending donations and offering financial aid through fundraising platforms which Sentinel Chain is looking to develop in future. I've also separately met up with another staff working on Sentinel Chain (Jackie), and asked about the project. After this in-depth review, it is safe to say that I'll be putting some ETH into this. If you've any further thoughts on Sentinel Chain to add on, I'll love to hear them! P.S. This is NOT a sponsored article. The full research was conducted together with my good friend in crypto, Timothy Ng Wen Jun. Thanks for all your help! how do one buy this? Hmm I think the KYC whitelisting is over, but you can always wait for when the crowdsales are over and this hits the exchanges where you can easily buy it off from there! what's their biz model? sell RFID tags to farmers? charge a commission for the loans? what's their expected ROI, target markets, etc.? their resume looks "good" on the surface but doesn't say much. 20 yrs of exp... so what? Those are useful metrics for evaluating stocks for sure, but I think we need to be mindful that crypto projects and ICOs cannot be measured by the same standards, because in that case then almost 99% of all crypto investments will fail. What's the business model of Bitcoin or Ethereum? Does the founding team or developers charge a commission for transactions? What's their team's resume? Do they even have 20 years of experience in their field? What target markets or partnerships do they have? If an investor seeking to purchase Ethereum at ICO used those metrics, he would never have put in his money cos it would have fallen short of such an evaluation. But look at Ethereum now. 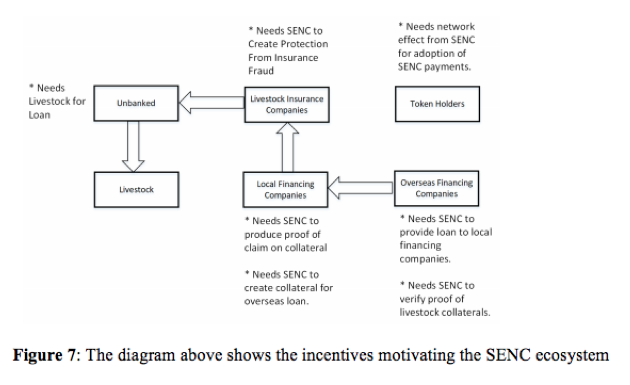 Sentinel Chain's business model has been clearly put out in their whitepaper which I've also elaborated on this article, whereas ROI should be reviewed based on their tokenomics and not the traditional % gain on operating capital. They do not sell RFID tags, it's been stated that it is their partner who will be responsible for that. Target markets have been identified as Asia, particularly the rural communities with Bangladesh roll-out as the first step it seems given existing partnerships and based on their CEO statements. We'll be hard-pressed to even find a resume of founders this good in the crypto projects space. Heck, even Vitalik himself didn't have as splendid a resume when he started, but look at Ethereum's performance since ICO lol. Most of the coins is to make the founders rich. Look at Ripple, the founders own the majority .. one of the founders left and is slowly selling to cash out ..
anyway livestock tagging doesn't need blockchain .. RFID tagging exists long ago and it's doing well without the use of blockchain . Many people are just using BC as a buzzword and forcing the use of blockchain for the sake of riding on the hype. Honestly, cryptos only make the founders and early "investors" rich .. if the crypto can manage to be hyped up .. the ROI is dependent on the level of hype.. which isn't exactly a good kind of biz ..